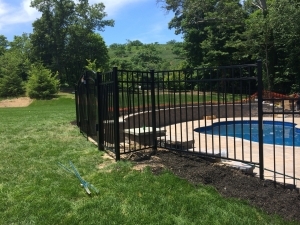 Aluminum fence has made itself the choice for ornamental fencing because of the simple fact that it does not rust. Yes, aluminum does not rust; it is immune to corrosion making it significantly more appealing than traditional wrought iron fencing. Why has the industry not completely switched to aluminum versus wrought iron? Because of cost and strength, but both have significantly improved over the last decade. Recently, the cost of aluminum is more comparable to iron and because of that, it is more affordable to produce thicker more durable raw materials to manufacture posts and sections. Aluminum fencing (also known as estate fencing) offers the secure, elegant look of other metals but is lightweight and durable. It’s available in a variety of designs and colors to fit your home’s look and your personal style. Aluminum offers elegance to any pool enclosure with a wide variety of styles. You can add an arch to the top of any gate to accentuate your entrance. 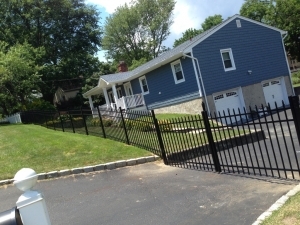 If you have any further questions about Aluminum fencing, give us a call today! 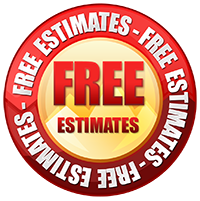 Our professionals are here to help you any way possible. We look forward to working with you! Contact us at 631-851-9730. Thank you for considering Robert’s Fence Company.